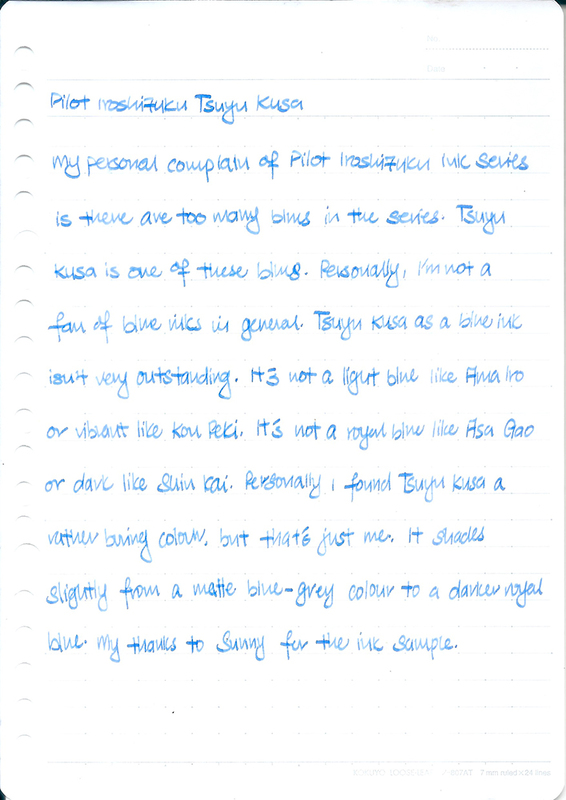 My personal complain of Pilot Iroshizuku ink series is there are too many blues in the series. Tsuyu Kusa is one of these blues. 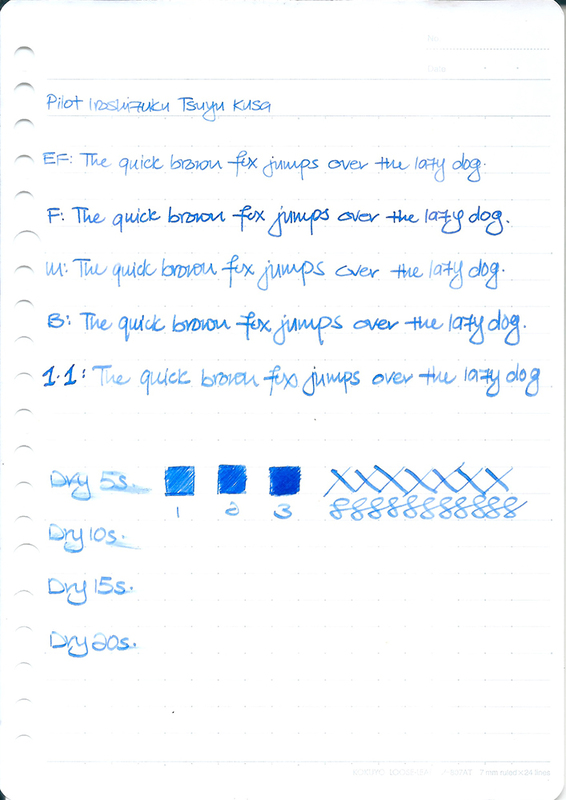 Personally, I’m not a fan of blue inks in general. Tsuyu Kusa as a blue ink isn’t very outstanding. It’s not a light blue ink like Ama Iro or vibrant like Kon Peki. It’s not a royal blue like Asa Gao or dark like Shin Kai. I found Tsuyu Kusa rather boring but that’s just me. It shades slightly from a matte blue-grey colour to a darker royal blue. My thanks to Sunny of Straits Pen for giving me the sample.